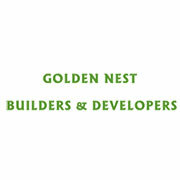 Golden Nests Developers and Builders an ISO 9001 company is one of the most successful home building companies, we have pride in creating homes to Bangaloreans over the past decade. This pride comes from knowing that home ownership is a cherished Indian dream. Our Apartments combine traditional architecture with generous spaces and thoughtful amenities. What's more; our continuous dedication to customer satisfaction is intended to create an enriching and fulfilling home buying experience. When you are looking for a new home look at the signature Excellence that comes with Golden Nests Developers and Builders.